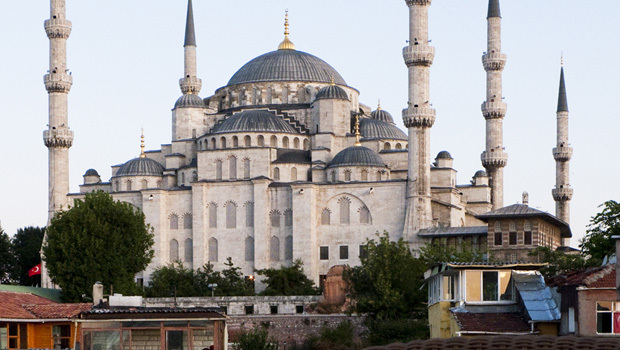 The Blue Mosque dominates the skyline from many view points of Istanbul's Old City, Sultanahmet. The former capital of three successive empires, Roman, Byzantine and Ottoman, Istanbul today honours and preserves the legacy of its past while looking forward to a modern future. Its variety is one of Istanbul’s greatest attractions: The ancient mosques, palaces, museums and bazaars reflect its diverse history. The thriving shopping area of Taksim buzzes with life and entertainment. And the serene beauty of the Istanbul strait, Princes Islands and parks bring a touch of peace to the otherwise chaotic metropolis. 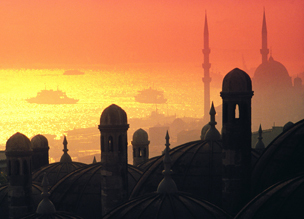 Once known as the capital of capital cities, Istanbul has many unique features. It is the only city in the world to straddle two continents, and the only one to have been a capital during two consecutive empires - Christian and Islamic. Once was capital of the Ottoman Empire, Istanbul still remains the commercial, historical and cultural pulse of Turkey, and its beauty lies in its ability to embrace its contradictions. Ancient and modern, religious and secular, Asia and Europe, mystical and earthly all co-exist here.